Ann Shoemaker, bassoonist, is highly regarded as a music educator, soloist, chamber musician, and orchestral player. She currently serves as Associate Professor of Bassoon and Coordinator of Woodwinds at Baylor University in Waco, Texas, and has been on the faculties of Furman University, Davidson College, and the North Carolina School of the Arts. Her students have found continued success in professional orchestras, military bands, as freelance musicians, educators, and music administrators. Shoemaker is currently the principal bassoonist with Shreveport Symphony Orchestra and Waco Symphony Orchestra. She frequently performs guest solo recitals across the country and has performed internationally in The Czech Republic, Estonia, Finland, Germany, Italy, Japan, Russia, and Venezuela. A recipient of the Hayes Fellowship, Dr. Shoemaker completed her Doctor of Musical Arts degree at the University of North Carolina at Greensboro. 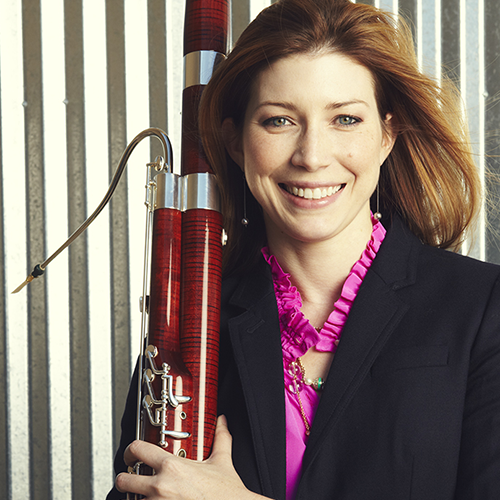 She holds a Bachelor of Music degree from Furman University and a Master of Music degree from Yale School of Music, where she was awarded the Nyfenger Award for Outstanding Woodwind Performance. Dr. Shoemaker is a Fox Bassoon performing artist.